Dr. Paul Foxman is the founder and director of the Vermont Center for Anxiety Care in Burlington, Vermont. He holds a B.A. in Psychology from Yale University and a Ph.D. in Clinical Psychology from Vanderbilt University. He has been in private practice for 35 years. 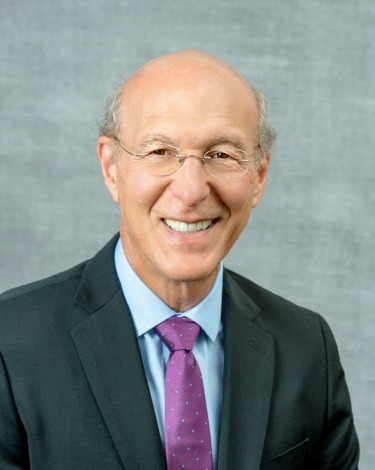 Dr. Foxman specializes in anxiety disorders in children and adults and frequently appears at conferences and on television and radio shows to address anxiety and stress-related issues. He also provides professional opportunities and continuing education courses for mental health professionals. Dr. Foxman has written several books explaining the symptoms and sources of anxiety and providing solutions to anxiety. He is the author of “Dancing with Fear,” a best-selling book offering help for anxiety disorders, and “The Worried Child,” a complete explanation of how anxiety begins in childhood with guidance for preventing and reducing anxiety. His new book, “The Clinician’s Guide to Anxiety Disorders in Kids and Teens,” was released in November 2016. Dr. Foxman wrote the commentaries on over 30 anxiety recovery cases in “Conquering Panic and Anxiety Disorders” by Jenna Glatzer. In addition, he has written the forward to several other books, including “Living Fully with Shyness and Social Anxiety” by Erica Hilliard and “The Highly Intuitive Child” by Catherine Crawford. These books are accessible for everyone who suffers from anxiety, as well as families, mental health professionals and health care providers. Dr. Foxman is also affiliated with CHAANGE, an international anxiety treatment organization. CHAANGE offers structured anxiety self-help programs for adults and children. These programs, delivered in the form of CDs and readings, involve learning new skills and thought processes that reduce stress and anxiety. Several studies on the adult program have shown a success rate of approximately 80 percent, as well as a significant reduction in health care expenses after completing the program.